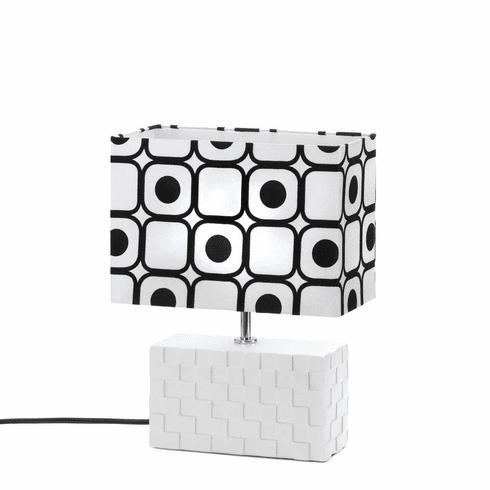 This lamp is the perfect blend of modern and retro style with its woven-texture rectangular base and a mod “pop art” shade with black graphics. 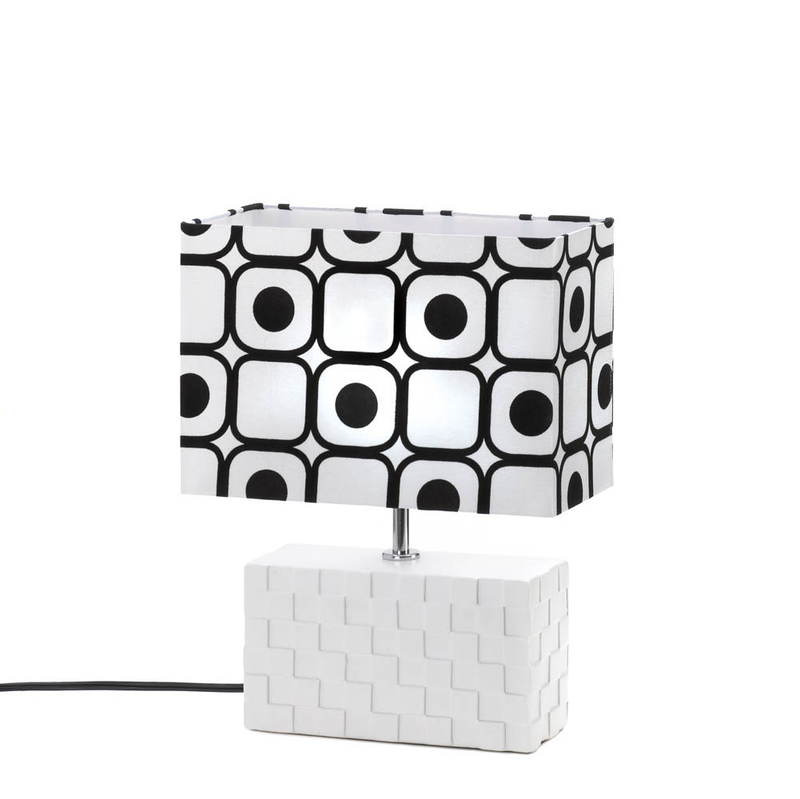 This table lamp packs a big punch of style that will brighten any room with its hip and contemporary flair! 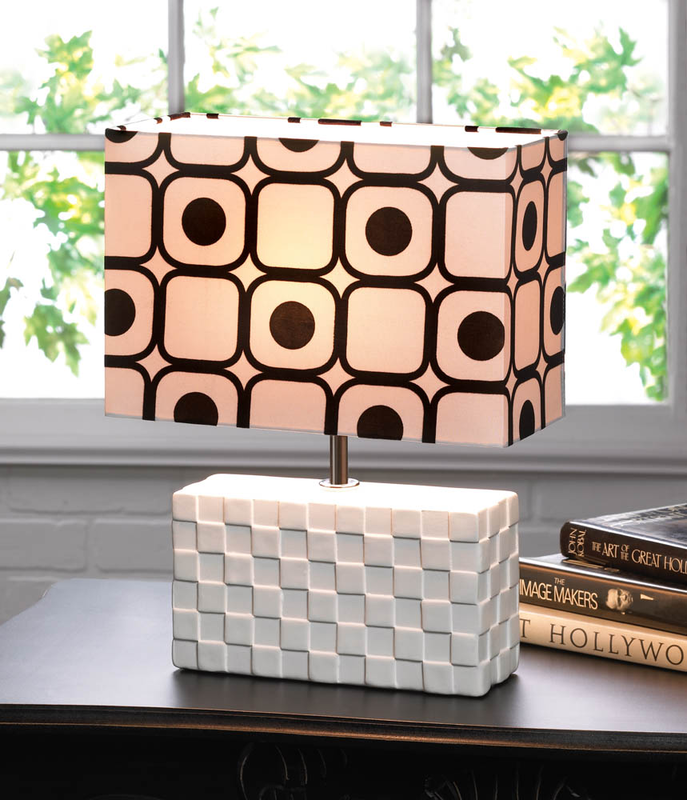 Ceramic base with fabric shade. Item weight: 3 lbs. 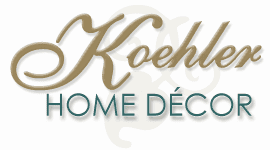 5 1/4" x 11" x 14 1/2" high; base: 3 1/8" x 8 1/2" x 4 3/4" high. 60 Watt type A light bulb not included. UL Recognized. UPC: 849179015800.